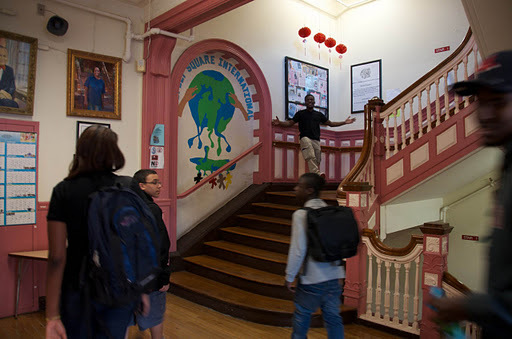 The Princeton Association of New England has had a volunteer presence at the Muriel S. Snowden International High School in Copley Square, Boston since 1990. PANE was among the first Princeton alumni entities, inspired by the Class of 1955, to see the value of alumni coming together in appreciation of our academic privilege to give back to the local community. Over the years, local Princeton alumni mentors have provided interested adult friendship, college and career planning guidance, access to cultural events, and tutoring opportunities to the widely diverse student body of this district Boston Public School. Each year, depending on the hobbies, interests and availability of our local cohort of mentors, we offer a schedule of meetings and events to Snowden students with the help of the school’s Guidance Office. If you are available for monthly one-hour meetings at the school in Copley Square, it will be easy to get you involved in our regular, on-going program. If you have a possible “one time” presentation on an academic, cultural or personal growth topic or a cultural opportunity that you would like to offer to a small group of Snowden students, that is a great way to participate as well. If you are interested in visiting the school, I would be happy to meet you there for a tour and connection with the guidance office staff. The Snowden program has taken many forms over its 20-year run, and we are very open to new ideas and new participants as we go forward.